Hinkley’s new nuclear power station got planning permission yesterday. It was announced at Westminster, celebrated in Somerset and is the start of a new industrial revolution, as I wrote in the Western Daily Press. 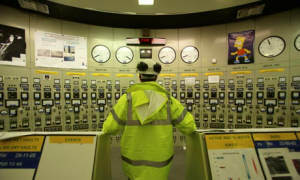 I am today publishing a development consent order which authorises the construction of a 3,260 MW nuclear power station at Hinkley Point, known as Hinkley Point C. The order will allow, from a planning point of view, NNB Generation Company Limited, a subsidiary of EDF Energy, to construct two European pressurised reactors, each of a capacity of 1,630 MW. It will also enable the company to construct associated development, such as freight handling and road improvements, and to carry out the necessary work to obtain land and rights over land, by compulsory acquisition if necessary.In recommending that development consent be granted, the panel concluded that the benefits of the proposed Hinkley Point C station outweighed the impacts, including those on the local communities, particularly when taking into account proposed mitigation measures. These include the provision of a bypass around Cannington; enhanced landscaping and access for amenity purposes; and ensuring that the work force do not cause any additional burden on local services such as health, education and housing. In making my decision, I also took into account representations made too late to be considered by the panel and not therefore included in its report. I expect the wide range of mitigations and controls provided for in the order and elsewhere to be effective in reducing the impact of the construction work on local people, but I also recognise that as these works are carried out, those who live in the area may well have their daily lives disrupted in one way or another. This disruption is, in my view, outweighed in the final analysis by the benefits that the project would bring. Chief among these is the very significant contribution it would make to the achievement of energy and climate change policy objectives. The energy national policy statements make it clear that the construction of new low-carbon electricity generation infrastructure is of crucial national importance. There is also a significant potential for local benefits including new jobs, with a work force of up to 5,600 during construction, and contract opportunities for the supply chain including local businesses. I said that the order authorises construction from a planning point of view. There has of course been an entirely separate process scrutinising the nuclear safety aspects of the project, with decisions taken by independent regulators in the Office for Nuclear Regulation and the Environment Agency, including the issuing of a nuclear site licence. Some further regulatory approvals remain to be taken, including the Marine Management Organisation’s marine licence and site-specific aspects of generic design assessment from the Office of Nuclear Regulation, but the decision I am announcing today, together with those already taken by the nuclear regulators and a number of other permits issued last week by the Environment Agency, means that NNB Generation Company Limited now has the majority of the consents it needs to build and operate the plant. That, of course, is not the end of the story. Decisions remain to be made on the funded decommissioning programme and strike price. Discussions on both these subjects are ongoing and intense, but I expect them to be concluded shortly. As confirmed in my January statement to Parliament, the Government are committed to their existing policy on long-term disposal of nuclear waste and are pressing ahead with plans to identify a geological disposal facility in order to put in place a permanent facility for disposal of radioactive waste from both new and existing plants. Affordable new nuclear will play a critical role in a secure, diverse electricity supply for Britain and make a significant contribution to the transition to the low-carbon economy needed to tackle climate change. Therefore this decision on planning aspects of the first new nuclear power station in a generation represents an important milestone in that process to decarbonise our electricity supply and economy. This is a very good day for Britain and a phenomenally good day for Bridgwater and West Somerset. I thank not only the Front-Bench team, which has been phenomenally important in that, but the Opposition, and especially the Leader of the Opposition, who signed this off when he was Minister of State. I am incredibly grateful to the House, and my constituents are more than grateful to everyone here who has played such an important part. The importance of the announcement is that we can now kick-start the civil nuclear programme in the United Kingdom, and that is crucial. The innovation, jobs and input from across the industry are staggering. The Nuclear Industry Association is holding its conference across the road from here at the Queen Elizabeth centre, and it is like a cat on a hot tin roof, ready to go. We are Hinkley-ready, and we will be on time and on schedule. Will the Secretary of State continue to wax lyrical, if I may tempt him, on what the decision will mean for Sedgemoor council, West Somerset council and Somerset county council areas? Those in Sedgemoor will feel the pain, especially in Bridgwater, because they will facilitate the plant, although it will be in West Somerset, as the right hon. Member for Don Valley (Caroline Flint) said. It will be important for education, innovation, industry and local people. I would be grateful if the Secretary of State continued to wax as lyrical as he has done so far, and I thank the House. I have already paid tribute to my hon. Friend, and what he has just said shows why that tribute was appropriate. Much of his work and that of local councils, my Department and others has been aimed at maximising the economic benefit for the area, and indeed the whole country. He will be aware of the nuclear skills academy, which is based at Bridgwater college, and that Sedgemoor and other councils have attracted new investment to the area for additional construction, as well as support for schools in the area. He will also know that even before we unveil the community benefits project, the decision provides significant benefits to the local area. My hon. Friend is right in saying that there will be some pain for some local people in the local community during the long construction phase, but I hope that they and he believe that the panel’s recommendations and my decisions will mitigate that as much as possible.